What’s the first thing that comes to mind when you think pirate? Well I definitely don’t think rich or well off. However, this article I found on the Internet begs to differ. According to this article, pirates “…have money; they have power and they are getting stronger by the day.” Not only that, but they marry the most beautiful girls and have the most lavish houses, cars, and of course, guns. Apparently, being a pirate is fashionable! One good thing is that they really don’t want to harm anyone, they just want money. And since they want a lot of money, they really shouldn’t kill anybody. That’s why they treat their hostages so well! So it was interesting for some to hear that there were deadly gunshots fired on a Ukrainian ship held hostage. What we did not know then but found out later is that they were actually firing guns off to celebrate Eid, fabulous! Maybe these are the guns they were firing to celebrate Eid? sorry for the late-nesss—I fell asleep mid-post. I hope some of you still get to see it before class. Apparently this guy was called a "Barbarossa." Sound familiar? When I heard about the Somalian pirates, I felt like I had heard about something similiar before. I had, in US History class, heard about the BARBARY CORSAIRS. 1.) They were from different places (and an obviously different time periods). 2.) Barbary Corsairs were privateers, and so sanctioned by the State. 3.) 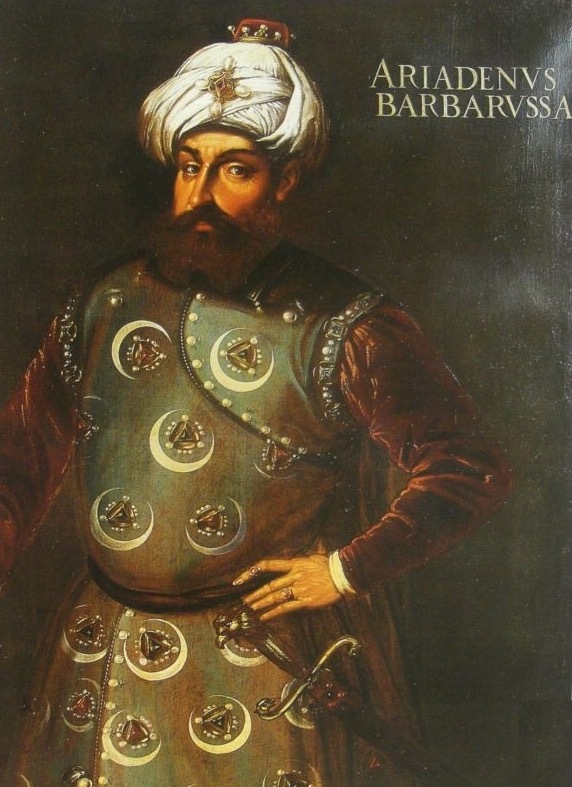 The Barbary Corsairs opperated for 8 centuries. 4.) They attacked other countries directly and pillaged. 5.) The primary goal of the Corsairs was to capture slaves. 6.) The Corsairs (as part of a state system) had ambassadors, and a whole structure of power supporting them. This is what one of the ambassadors said to Thomas Jefferson and John Adams in 1786. However, the Somalian Pirates are opposed by the Islamist fighters in their state because they attack Muslim ships. Somalia Pirates are also opposed by the Arab League of nations for attacking their properties. When the class first started talking about African/Somalian pirates I honestly had no idea what was going on or why we were considering changing around our syllabus to fit in a discussion on the topic. I went home and google’d “pirates” didn’t get me very far. so I google’d “African pirates”. My first hit was a USA Today article Off Africa’s coast, pirates ‘out of control’. Immediately I was struck by the sensationalism of the whole event and how what we were discussing in class is certainly not how the rest of the US is thinking about this issue. The article goes out of its way to describe these hijackers as crazed pirates, emerging from the dark waters with hooks and AK-47s. In addition, wikipedia describes the long history of piracy off the Somali coast since the early 1990’s. So why the sudden surge in coverage/commentary/sensationalism in the US? I think this song I found on YouTube captures the sentiment quite well ;). 1) Why are the pirates still at it, if they are supposed to be well off? 2) Who is responsible? Who legislates this far out at sea? 3) What is the Somali Government doing? 4)Why the term ‘pirates’? Why not ‘boat hijackers’ or ‘water thieves’ or anything else? 5) This has been going on for a while now so why the sudden furore over pirates? At what point did the knowing affect us? When and why did we decide to take action? 6) We also talked about the generalization of terms so that they are sometimes refered to as African pirates as if they are as partolling the entire continents coast.